Thank you for the opportunity it's a pleasure to meet you. I'll now explain how my instruction is truly a unique experience. Born in Palm Springs, CA the golf capitol of the world for over 40 years. 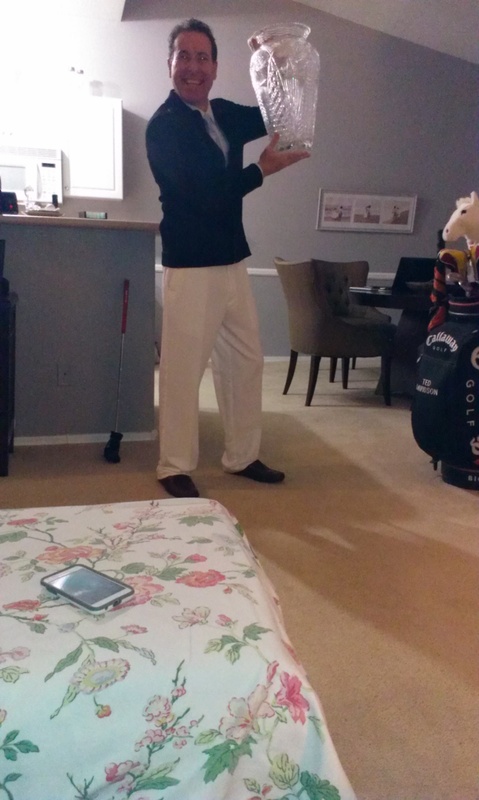 I learned the golf swing at the age of 13 by Lou Marcouzzo at Reflections CC in La Quinta where they couldn't pay me so Lou taught me the Tour Golf Swing which has benefitted me for a lifetime. He coached numerous players on the PGA Tour which taught me tour player habits at an early age. I’ve been playing for 36 years, competitively for 31 and professional for 20 years. I’m now in a fantastic place in my life where I’m injury free and currently working on full-time sponsorship for the PGA Tour. While I was on various tours from 1999-2004 I was sponsored by Dr. Marcus Pride M.D. of the Los Angeles Lakers Organization and LA Sparks, as for also acquiring one tournament win professionally in May of 2001 in Los Angeles. I turned pro in 1995 at Pala Mesa Resort in Fallbrook, CA where I taught for Golf Digest. I was there for 5 years while I started playing the Pepsi and Nike tour’s. I’ve been fortunate enough to have played and taught at some amazing private clubs. Glenmoor CC in Cherry Hills, Co as well as Plum Creek CC in Castle Pines, Co and have been a member at Canyon Crest CC since 1980. While being a golf Instructor with John Jacobs, Golf Digest, Nike Golf Schools, Davidson Golf Schools and the other golf facilities that I’ve taught at and run. I’ve given over 15,000 golf lessons and each swing is truly different. Working with all of those different people and unique swings it's given me an unlimited database of swing knowledge. With that being said it's those personal relationships and the time with my students that is most memorable. I've been very fortunate in my life with a photographic memory it's enabled me to take instant photos of swings and give immediate feedback to students anywhere in the world. I love working with people in general and players of all levels. To improve not only there physical game but more importantly their mental approach. A holistic approach that will keep things simple and fun without over complicating the process. Please I invite you to Google me so you can feel assured that you're getting the absolute best instruction as well as first class service. 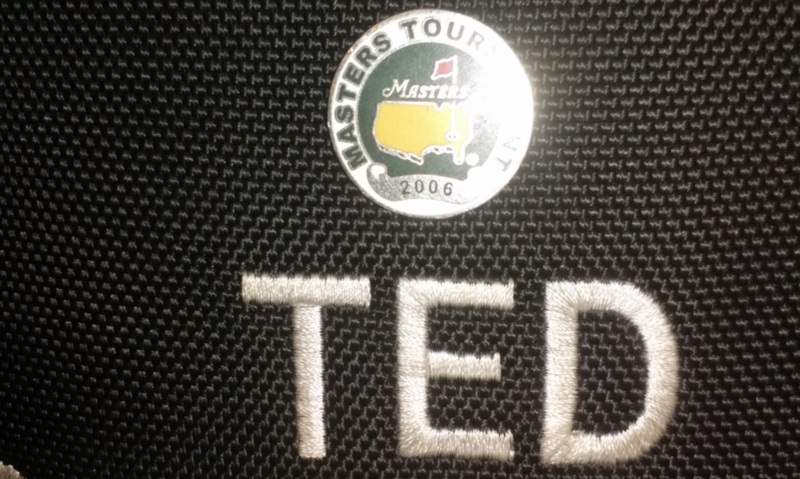 I'm retired and a member up at Desert Mountain and met ted about 2 years ago up at the club. He started working with me and I'm somewhat new to the game but have an athletic background from professional baseball. I was at the time about a 13 handicap but Ted got me to a 10 in only 10 weeks but more then just the instruction because he's been a professional golfer his mental approach to the game is even more instrumental then the physical. I'm recommending him to as many people during the season as I can, a joy to be around. Excellent instructor not only knowledgeable but worked with my natural swing he just focused on the fundamentals and didn't over complicate things. Great personality as well very easy to understand and work with. For over 25 years I've had the same approach with my students and that is to ask the right questions. Come up with a game plan tailored to their specific needs. Keep the process simple with realistic goals and expectations for more game enjoyment. I'm a 24 year PGA Professional as well as a Tour Professional. I've worked for and ran some of the finest golf schools in the world. I'm also a U.S. Army veteran so the structure helps in short and long term planning that's tailored to each students specific talent level and needs. I price my instruction by the lesson not by the hour. I started teaching in high school when I was 17 in Palm Springs, Ca while on the golf team at Indio High School. I interned at a course and the owner was a world class instructor and was coaching players on the PGA Tour in La Quinta at that time. He taught me the golf swing at 13 years old and I have now given over 15,000 golf lessons in over 25 years all around the world. I have worked with all ages, levels, and genders as well as physical talents and learning abilities. I just recently got back to Scottsdale, Az from Trinidad and Tobago where I worked with their Olympic Golfers that went to RIO last August. I focused on mental visualization as well as strategic planning in real life scenarios. Working with and training the Olympic golfers from Trinidad and Tobago in Trinidad for RIO last year in Trinidad. Golf hadn't been in the Olympics for a 100 years. Great honor and experience. Make sure the instructor your looking for for one has a good knowledge of the golf swing. More importantly make sure there's a rapport and chemistry with the instructor. As a student decide wether or not this teacher can help my game short or long term. Please Google me at Ted Davidson Golf, LinkedIn, and Instagram. I look forward to making your golfing experiences Amazing. Definitely check not only knowledge of the game and swing but see if there's a possible chemistry fit. Do some research if a professional has a solid background than start with one lesson before committing to a series. I've been around the best and trained the best all around the world.